Ringer is the premiere ringtone creation app on the app store. Make a personal ringtone from any unprotected song in your iTunes Library, video in your photo library, or direct recording. Ringer lets you easily make a ringtone from 2 to 40 seconds long. Makes ringtones, text tones, and alert tones. See the actual waveform to help you find the right part of your song. Zoom in and out to help you choose the start and end of your ringtone with sub-second accuracy. Support for fade-in, fade-out and ringtone gap. Song navigator lets you jump to any part of the song instantly. 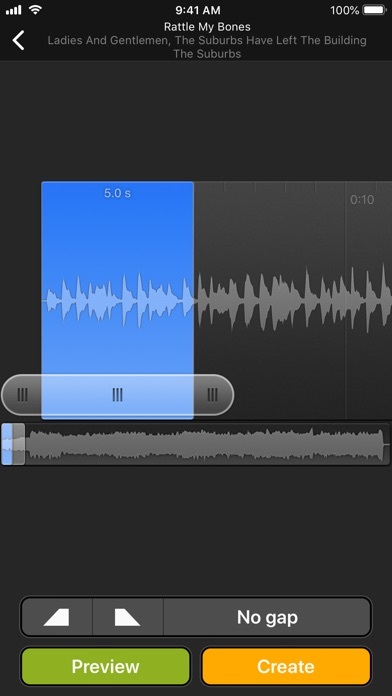 Auto volume support makes sure that quiet parts of a song can still be used as a ringtone. Landscape mode to provide a larger view on your music. Songs that are protected by DRM cannot be used. No app can install ringtones on the phone. Ringtones must be imported into iTunes and synced to the phone before they can be used.